You know how you get an idea in your head and then you can't find exactly what you are looking for? Well, that has been me trying to design a Monster's University Party Board. 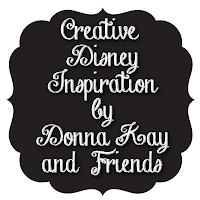 I am actually making a lot of the things I am going to include, which leads me to today's Creative Disney Inspiration. Have you created you own Monster yet? 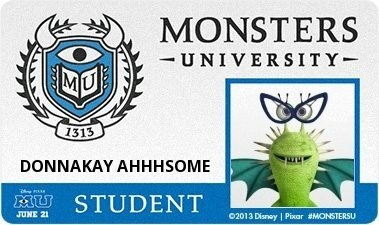 I am DONNA AHHHSOME at Monster University, and of course I had to have a MU Student ID. Not just one I could post on my Facebook wall, a real one I could put in my wallet or wear around my neck on a lanyard. Thanks to my handsome hubby who acted as my lanyard model. Ready to make you own MU Student ID? First you need to create you monster persona at Disney's MU website. When your monster is complete you can download a portrait, full body or ID. Personally I downloaded all three but be sure to download the Student ID. Here's what you need to have on hand to get started. Clockwise from the top left - squeegee (or credit card), lanyard (optional), MU ID trimmed with corners rounded, Scotch Self-Seal Laminating Pockets (business card size), Student ID printed on 4x6 photo paper, rounded corner punch. Next print your Student ID - I sized my to 3-1/2" x 2-1/4 using Photoshop Elements software and put it on a 4X6 background so that I could upload it to Walmart for printing. I actually ordered 2 prints of each ID I was printing and it cost me less than $3.00 and I was pleased with how they turned out. Next I trimmed each ID with my Friskar's paper trimmer. Then I rounded the corners using my EK Success corner punch. You can see here that I turned my punch upside down to be sure the corner of my ID card was placed in the notch. And now we are ready to laminate. I used Scotch Self-Seal laminated pouches 2" x 3.5". Open your laminating pouch and place the ID face down on the non-sticky side. Then remove the adhesive backing and slowly place the adhesive down, pressing as you go. To complete your ID just smooth out any air bubbles with a squeegee, if you don't have one you can use the edge of a credit card. Now admire your handiwork - your Monster's University Student ID is complete!! I did decide to put mine on a lanyard, to put the hole in the end of my card I used an eyelet tool I had from my scrapbooking days. You could also use a regular hole punch. 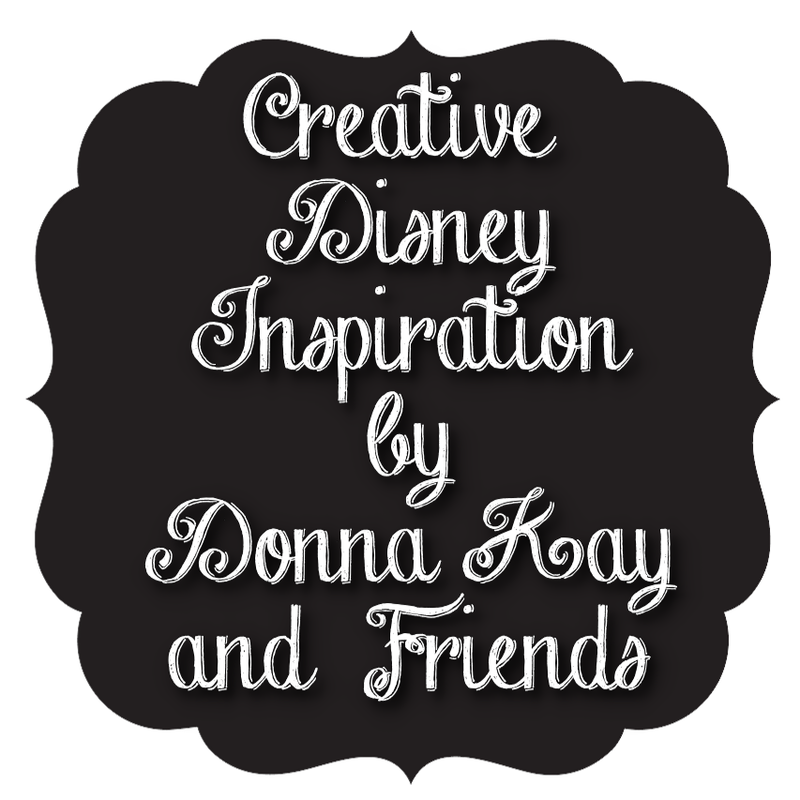 Hope you have enjoyed this 15th installment of Creative Disney Inspiration, as always if you make any of the projects please share them on the Disney Donna Kay Facebook page. I would love to see them!! These are adorable! I wouldn't have thought to make actual IDs out of them to wear. These would be awesome for a party!